Buon giorno! Siamo davvero felici di essere arrivati in Italia, la terra dei miei antenati. Sono orgoglisoso e di essere il nuovo Ambasciatore degli Stati Uniti in Italia. 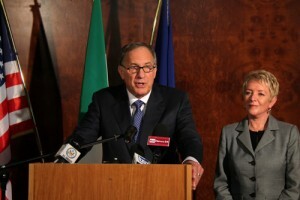 Over the past four decades, my wife Linda Douglass and I have been to Italy many, many times. We have come back again and again, not just because of the beauty of your land or its extraordinary history. We have also been drawn here by the welcoming nature of the Italian people who have always made us—and so many other Americans—feel very much at home. I am sure that my grandparents, Angelo Filippi and Lucy Colussi, who immigrated to America from Italy over 100 years ago, would be proud to know that their grandson has returned as the United States ambassador to the great nation where they were born. 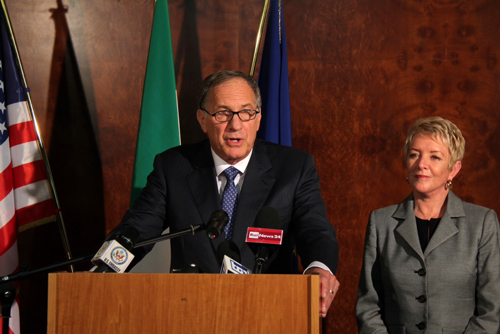 Italia and America are true allies and have together enjoyed a close and enduring relationship over many years. Both countries share the values of freedom and commitment to human rights throughout the world. We have been steadfast partners on some of the most difficult challenges we have faced in recent years. I am honored to represent the American people and President Barack Obama as we work to build upon the special and important relationship that exists between our two countries. Now I am ready to begin what I hope and trust will be a very productive working relationship over the coming years.